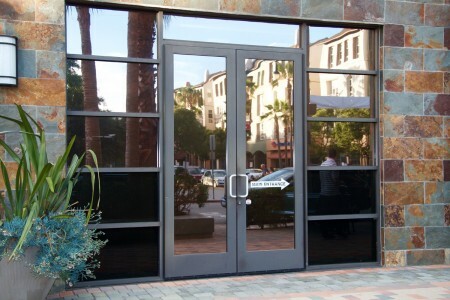 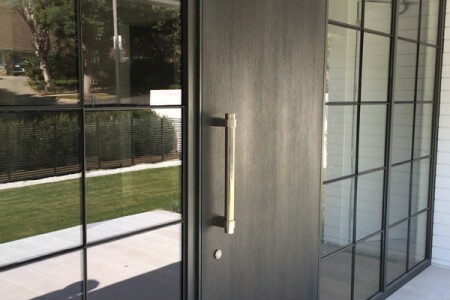 At Glasswerks, we specialize in producing all-glass doors and entrance systems for customers in Southern California, including Los Angeles and San Diego, as well as Hawaii and the Las Vegas, Nevada area. 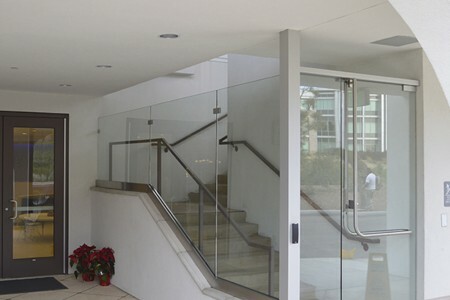 Our commercial glass doors and entry systems are the perfect way for customer to express style, quality, and precision with the clean, modern look of glass at the entrance to their office, store, or other commercial space. 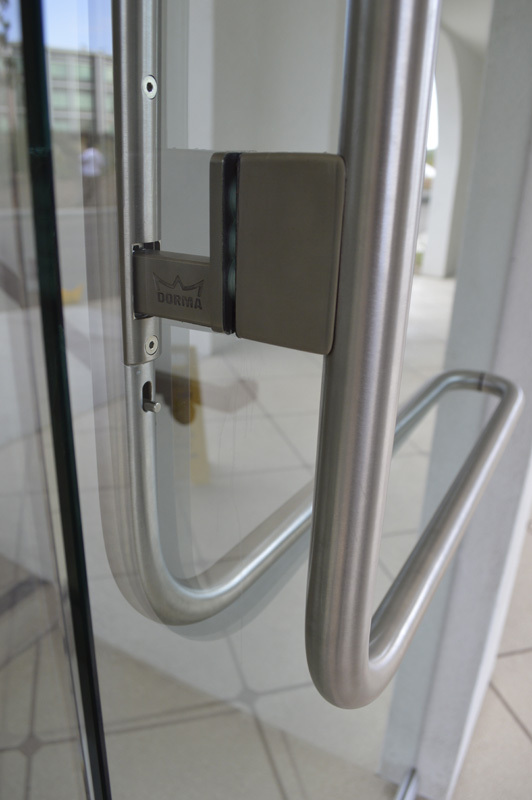 Our dedicated commercial door team is committed to giving you the best experience possible when creating your custom glass entry system. 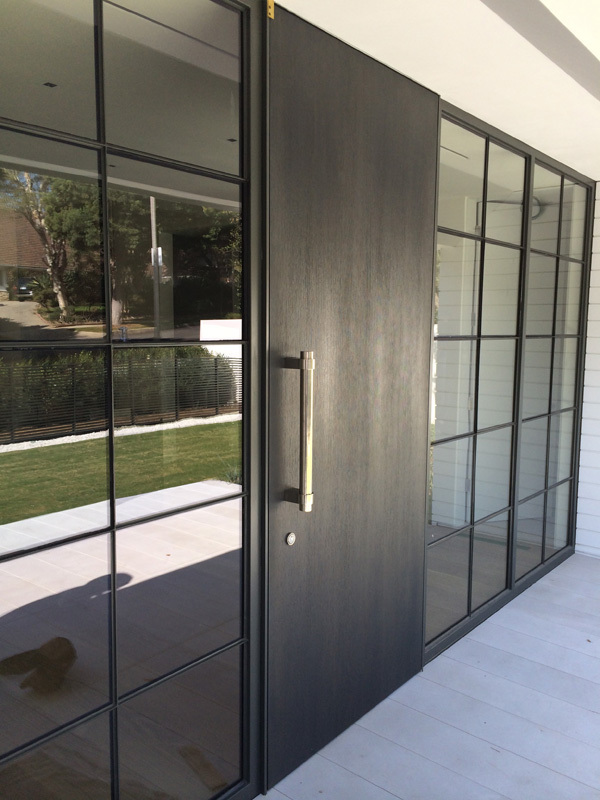 Our expert custom glass fabrication and tempered glass craftsmanship, combined with a contemporary selection of designer hardware and our unmatched customer service, make Glasswerks your ideal partner. 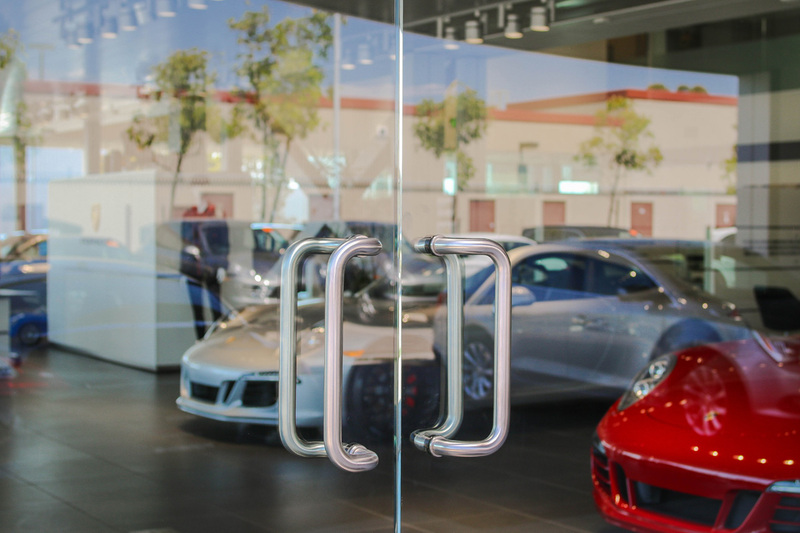 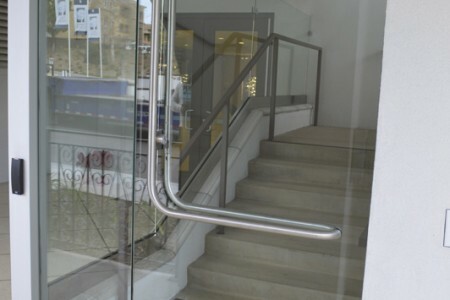 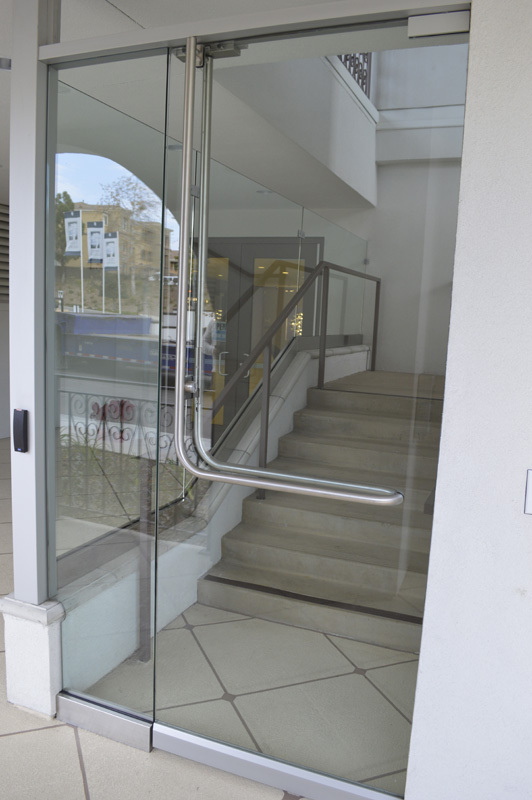 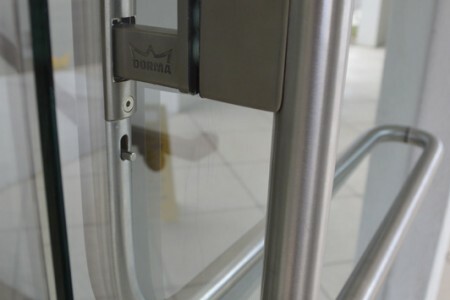 Glasswerks delivers a full range of commercial glass doors and entrance systems, including herculite doors, panic doors, handrails, windscreens, and more. 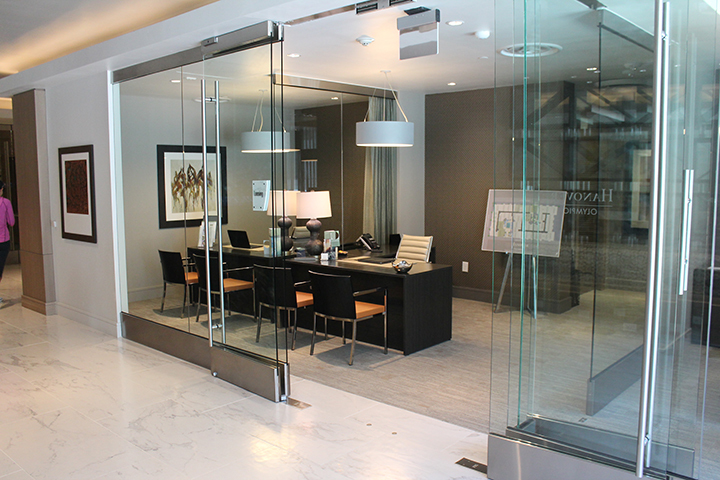 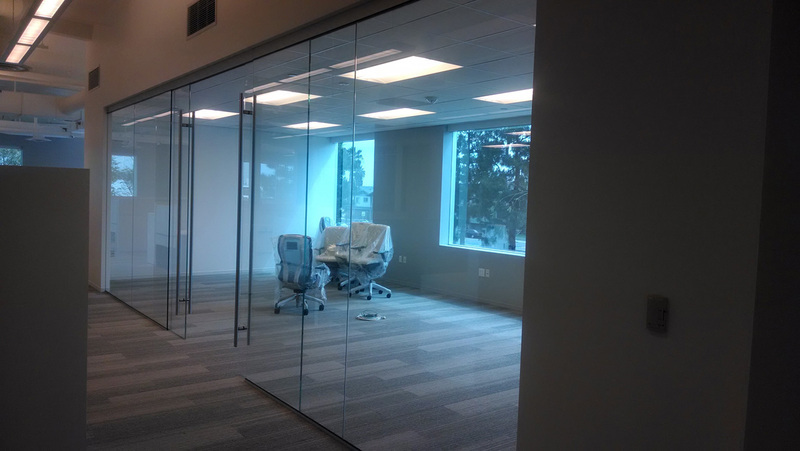 We offer heavy glass options, with glass ranging from ⅜” to ½” thick. 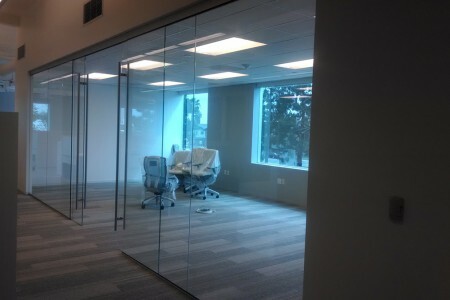 For projects within 500 miles of Los Angeles, our hardware can also help qualify your facility for LEED points. 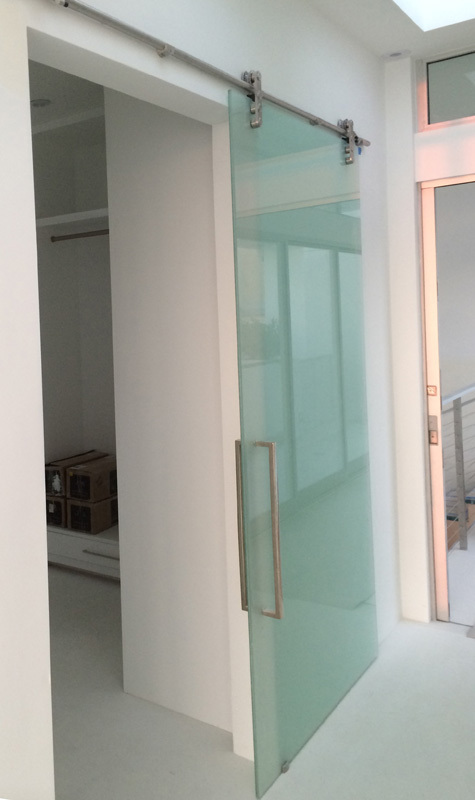 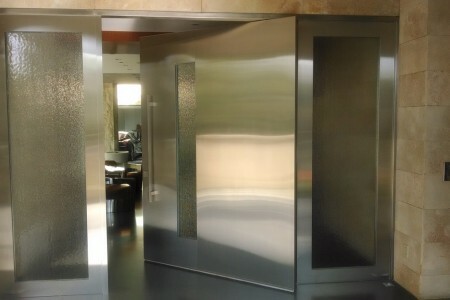 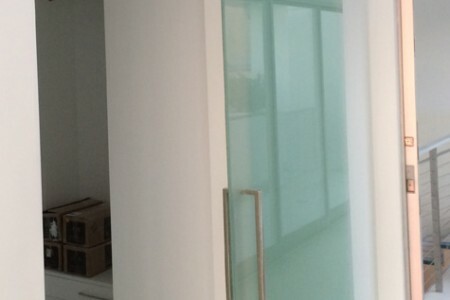 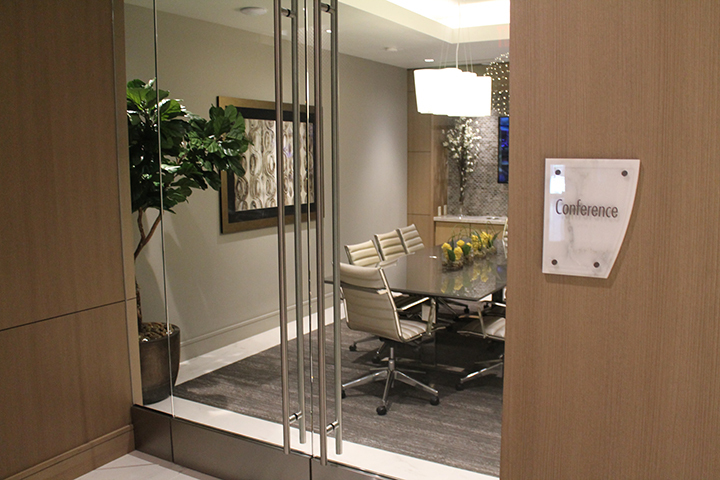 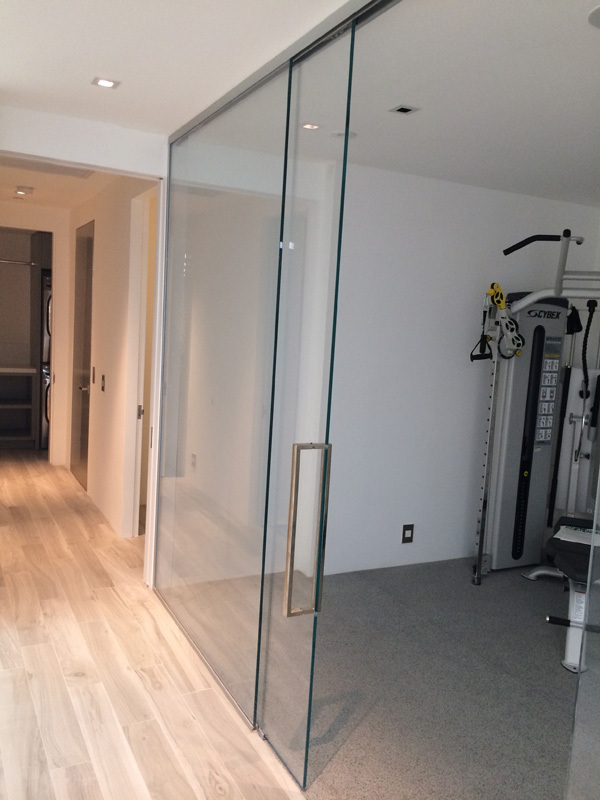 Our custom glass doors can be used with our GlassFX products to create a one-of-a-kind look and add opacity for privacy. 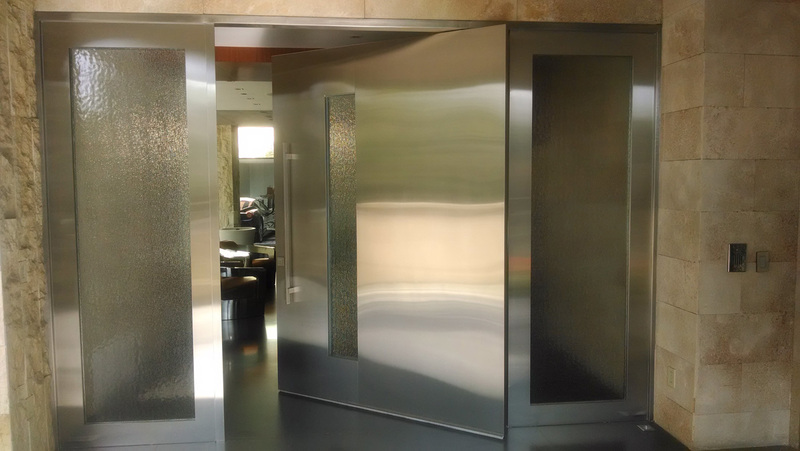 We also offer custom sandblasting and acid etching capabilities, enabling you to add unique style in the form of graphics, logos, and text. 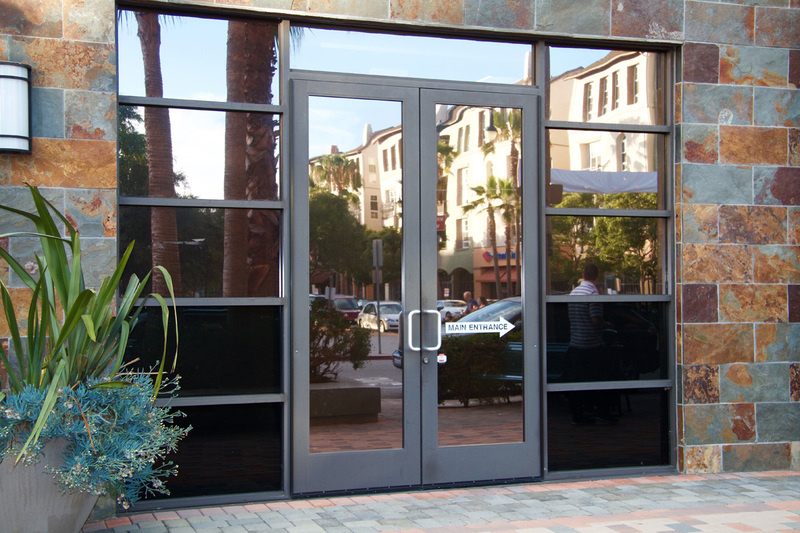 Colored and tinted glass options include grey, bronze, low-iron, and traditional clear. 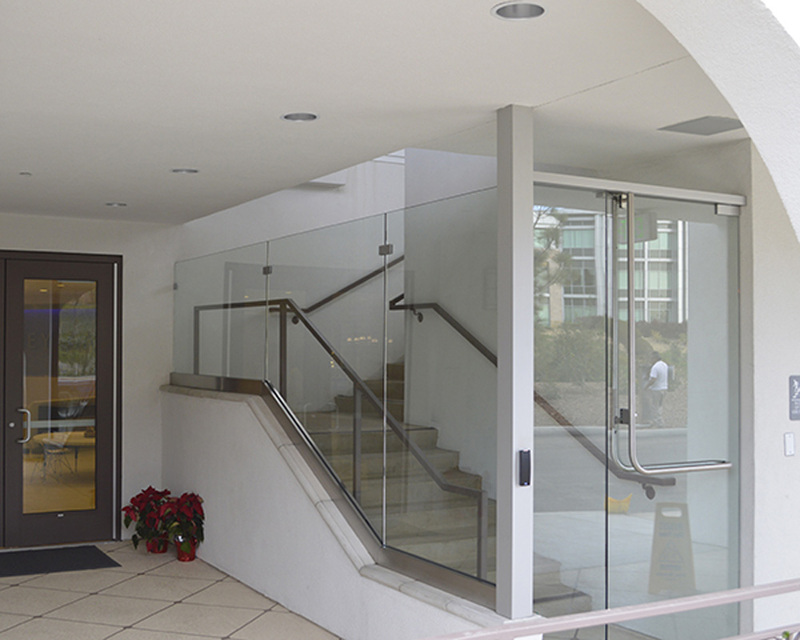 No matter what your vision for your custom commercial glass door and entry system, Glasswerks is your source for lasting quality and maximum aesthetic impact.